We’re going to manicure this first workout schedule with old school basics. PULLOVERS – Get yourself a curling bar, put the amount of weight on the bar that you will be comfortable with. Set the curl-bar with the weights on it 0n the floor at the foot of the bench. 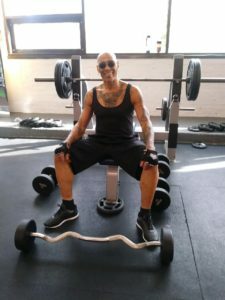 Lie on your back backwards on the bench-press bench, pull the curl-bar over your head in a half circular manner to a couple inches above your stomach, return the curl-bar to the floor that is 1-rep do 4-sets of 10. Always remember you are not trying to impress anyone in that gym or health club, your body will tell you when it is time to increase the weight.